Welcome to Turkey, arrival into Bodrum. Transfer from airport & check in to your hotel. Tonight are you ready for The Catamaran Nightclub? The Catamaran is an experience in its own right, with a glass bottom, several bars and a frequent water taxi service that runs to and from shore. You can spend an entire evening listening and dancing to some of the freshest tunes from around the world. A day at sea with lunch included and served on board. We set out at approx. 11:00 to cruise the turquoise seas of the Bodrum coastline. We will visit several of the most beautiful bays where you can swim and snorkel in crystal-clear water or simply relax in the mild breeze, enjoy the stunning views and perfect your suntan to the sound of the gently lapping waves. At the black island, half an hour from Bodrum, you can bath in the grotto where the warm mineral waters flowing out of the rocks are believed to beautify the complexion. Back on land at approx. 17:00. 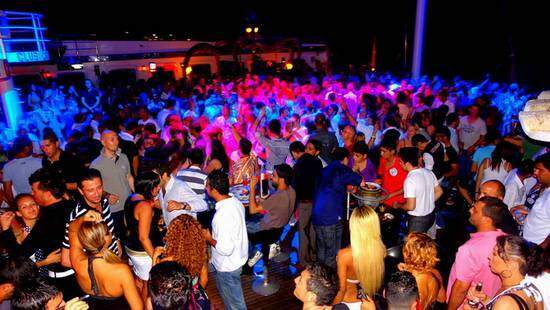 Halikarnas first opened in 1979 and quickly became the forerunner of Bodrum and Turkey 's nightlife. With its spectacular location, world class entertainment, shows, luxurious atmosphere and first-class service, Halikarnas is not only unique, but one of the most beautiful clubs in the world. At Halikarnas, customer satisfaction, quality of service and best value for money has always been its mission. That is why Halikarnas is still one of the best clubs ever. Halikarnas is proud of the fact that it has been operating for 26 years bringing top artists, djs and celebrities to Bodrum. In the clubbing world such a great history is almost exclusive. Halikarnas was the first establishment who brought the world quality entertainment concept to the Turkish Tourism Industry. Over Night in Bodrum. Remember this is your last day in Bodrum so you must experience a night out at Halikarnas or the Catamaran Dance Party. We hope your tour was a memorable one and we would like to see you in the future on one of our tours again. After breakfast check out from the hotel. We make your return transfer services. Have a nice trip back home and thanks for choosing Hotel Kalender.